We encourage applicants to apply as soon as possible. Founded in 1983, Crow’s Theatre has been a leading force in the Canadian theatre landscape, recognized for provocative and award-winning new theatre work. Since its inception, the company has developed, produced and presented over 100 theatrical works, establishing a reputation in Canada and abroad with premieres, tours and remounts of some of Canada’s most successful and award-winning productions. In January 2017, following a successful $11.6M capital campaign, Crow’s opened the doors to Streetcar Crowsnest, the first performing arts facility of its kind in Toronto’s East End. Crow’s new home (at the corner of Dundas and Carlaw Avenue) is the anchor arts centre for one of the east end’s fastest growing creative clusters. Streetcar Crowsnest offers a dynamic spectrum of affordable contemporary theatre, arts events for all ages, as well as wide-ranging community programming and partnerships. The facility includes a 200-seat main theatre, a 90-seat studio, a beautiful lobby bar, support production and administrative areas, and an onsite 60-seat restaurant. Over 70,000 people attended performances and events at Streetcar Crowsnest in 2017-18. The excellence of Crow’s Theatre extends beyond its artistic calibre and reputation. Crow’s is recognized for its innovative social enterprise that contributes to earned revenues. Crow’s Theatre receives top ratings from its public and private sector contributors. Notably for a mid-size organization, Crow’s annual private sector fundraising exceeds $1.1M annually as it approaches annual revenues of $3M. Crow’s has recorded over 20 consecutive years of successful budget surplus. In addition to its roster of tremendously talented artists, creators and production craftspeople, Crow’s has a skilled complement of twenty full- and part-time employees. Crow’s Theatre seeks a strategic thinker to work closely with the Artistic Director to co-lead one of the country’s most innovative, energetic and fast-growing mid-sized theatres. The Managing Director (MD), in collaboration with the Artistic Director (AD), is responsible for the planning, development and successful execution of Crow’s long-term strategies and annual operations. The MD leads and mentors an engaged team of staff and volunteers in the production of a full season of outstanding theatre and auxiliary programming, fosters relationships with current and potential partners and stakeholders to increase philanthropy and revenues, skillfully manages financial planning, and ensures that each department, essential in its own right, operates to its maximum potential and output. The MD has a thorough knowledge and extensive experience in performing arts, ideally the theatre milieu, with comprehension of the sector players, practices, production planning, and professional standards. · Working with the AD, create and deliver the annual budget. · Manage the budgeting process and evaluate the impact of programmatic decisions on other financial and organizational priorities. · Maintain sound financial management including financial reporting, forecasting and analysis, accurate cash flow projections and compliance. · Provide input to the AD on programming choices based on project viability and resource availability. · Lead the administration of co-productions and presentations, negotiation and agreement execution, artistic and technical personnel, and production and technical management. · Co-responsible with the AD for the implementation of audience development activities and sales revenue targets, including marketing, public relations activities and promotional events for season and ticket sales campaigns. · Oversee all permanent and contract marketing, ticketing, food and beverage, and patron services personnel. · Work with the AD to develop financial resources to sufficiently ensure the fiscal health of Crow’s Theatre. · With the department leadership and staff, strategize fundraising activities of events, major gifts, corporate giving, and government support and foundation grants. · Manage the execution and coordination of approved strategies, including the planning of special campaigns and other fundraising activities. · Represent Crow’s at all level of government, as it pertains to funding, reporting and advocacy, ensures compliance to the organization’s fundraising policies and government requirements relating to charity law and practice. · Manage all functional operation areas and functions, including operating systems and planning, tenants, security, building systems and improvements, IT and administrative systems. · Oversee all matters pertaining to day-to-day management of the facility. · In partnership with the AD, oversee the hiring, training, supervision and retention of competent, qualified staff and volunteers. · Lead the management and execution of Crow’s human resource planning. · Alongside the AD, create a climate in which staff want to do their best, supporting equal and fair treatment and opportunity for all staff, and fostering a climate of inclusion. · Ensure the development and adherence of Crow’s HR policies, performance reviews and professional development. · Oversee with the AD the planning, execution and sales deliverables of Crow’s Social/Corporate Events department. · With department leadership and support staff, develop and implement sales strategies, drive the event-business marketing and promotion, and ensure best practices for department operations, client experience and services. · Co-manage with the AD the duality of Crow’s operating model to ensure a balance between cultural and event seasons to enable and meet the event sales targets. · At least five years of senior management experience in the cultural sector with an excellent fiscal track record. · Demonstrated history of inclusive, strategic leadership, collaboration, and team building. · Knowledge of and professional working experience in the performing arts, particularly theatre. 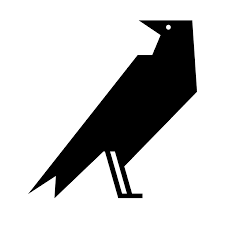 · Alignment with Crow’s mission, vision, and values. · Business and revenue development experience. Demonstrated success in achieving fundraising growth over a sustained period of time. · Knowledge of audience development best practices. · Demonstrated experience in budgeting and financial forecasting. · Deep understanding of the business side of the performing arts, including subscription and single-ticket sales, pricing/scaling tactics, marketing, producing, venue management, and artist and labour relations. · Experience running a performing arts facility would be considered an asset. · Ability to work collaboratively in a shared leadership structure and with staff, artists, producing partners and Board members and a demonstrable capacity to motivate, lead, set strategic and operational objectives and manage high performance of a staff team. · Experience in the development of effective strategies and tactics to ensure a continuous drive for diversity, equity, inclusion, and mutual respect throughout the organization. · Superior communication skills, written and verbal. Ability to speak and write persuasively and serve as a spokesperson for the company. · Superior organizational skills with demonstrated ability to multitask in a high-volume environment. · High professional standards with an acute attention to detail. · Ability to work well under pressure, independently or as part of a team. · Strong organizational management skills: detail-oriented, strategic, creative, entrepreneurial and disciplined. · Strong interpersonal skills: unquestioned integrity, demonstrable respect for colleagues and stakeholders, and the ability to build trust through consistently open and honest communication across all levels of the company. · A highly collaborative consensus builder with the ability to delegate, inspire and manage. · Demonstrated understanding of and proven commitment to the values of equity, inclusion, and diversity in every facet of the operation and artistic practice of a theatre company. · Demonstrated commitment in co-leadership; ability to partner with Crow’s AD to support the development and execution of the organization’s artistic vision and goals. · A strong talent manager who invests in skill building, celebrates success, and is an open and accessible coach and mentor. · A practical, calm and creative problem solver and strategic thinker, with the ability to react nimbly to the unexpected. · A creative thinker who supports artistic excellence at the highest level.